Convert Video/Rip DVD to Sony PSP! PSP is a wonderful portable media player to watch videos on the go. PSP supports MPEG4 and H.264-AVC. Any DVD Converter can enhance this pleasant experience by ripping DVDs and converting many types of video for playback on your PSP. Any Video Converter is also a nice choice for converting videos to PSP movies. They are PSP MP4 Converter, PSP AVI Converter, 3GP PSP Converter, PSP MOVIE Converter, PSP DVD Converter. Both Any DVD Converter and Any Video Converter can convert avi, asf, mov, mp4, m4v, rm, rmvb, flv, mkv, mpg and vob to PSP movies. Any DVD Converter has extra feature of ripping DVDs, while Any Video Converter does not have this feature. PSP is far beyond a handheld gaming system. It is also a place to enjoy videos, music, photos, network, and more. Gamers may be fond of PSP movies. With Any Video Converter, users can convert a wide range of video files to MP4 and H.264 AVC PSP movies. If you need to rip DVDs to PSP movies, you can use Any DVD Converter Pro. Any Video Converter and Any DVD Converter is just the PSP Movie Converter you need!! Any DVD Converter is the versatile DVD to PSP Converter. It can rip DVDs to MP4 videos for PSP. Besides converting DVDs to MP4 videos for PSP, Any DVD Converter can also convert avi, asf, mov, mp4, 3gp, m4v, rm and rmvb to PSP MP4 videos. If you like watching YouTube videos and would like to enjoy YouTube videos when you do not play games on PSP, you can use the YouTube Downloader feature of Any DVD Converter. The YouTube Downloader can download and convert YouTube videos to MP4 videos that can be imported to your PSP, with the customized file name. PSP can play MP4 movies. Any Video Converter as a PSP MP4 Converter, you can convert AVI, MPEG, FLV, WMV, RMVB, MOV and VOB files to MP4 for playback on your PSP and other PMPs or mobile phone. MPEG-4 delivers high quality of audio and video streams, especially for cell phone and broadband. Besides audio and video, MPEG-4 also supports 3D objects, sprites, text and other media types. 3GP to PSP Converter can easily convert 3GP video clips to Sony PSP from your mobile phone. It is powerful and supports batch conversion. You can enjoy your favorite mobile phone video clips on your PSP now. It has the ability to adjust sample rate, video or audio bit rate, video size, and many other video/audio settings for converting 3GP to PSP. Any Video Converter can convert AVI to PSP movies in MP4 format. AVI files can contain both audio and video data in a file container that allows synchronous audio-with-video playback. QuickTime, Matroska, Ogg and MP4 offer superior compression and playback than AVI. Windows Media Video (WMV) is encapsulated in the Advanced Systems Format (ASF) container format. WMV was designed for Internet streaming applications. Microsoft applies WMV to its PlaysForSure-certified online stores and devices. With Any Video Converter, you can convert WMV videos to PSP movies. 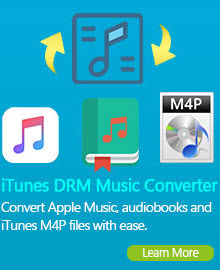 Nonetheless, neither Any Video Converter nor Any DVD Converter will convert DRM-protected WMV files. 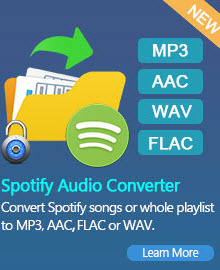 That’s to say, if the WMV files are protected, Any Video Converter will fail to convert them. With Sony PSP, you can play games, up to hundreds of titles; watch videos, listen to music, create a slide show of your photos or beam them to friends via Wi-Fi, communicate with other PSP systems, play games online, browse the Web and even stay up-to-the-minute with blogs, podcasts and news feeds. That’s a lot. 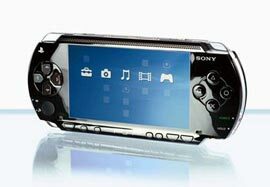 The PSP is primarily a gaming device, but it's got some notable media functionality as well. The PSP 2000 can play videos from a variety of sources. UMD video is one of the kind and the fact that the PSP is the only place you can watch them. A variety of software can convert video files to PSP formats (MPEG4 or H.264-AVC) and resolution (720x480). Any DVD Converter is one of the best converters that can rip DVDs and convert various types of video formats to PSP MP4 videos.